Accidents always happen, and these include those from our beloved pets on our floors, carpets, and furniture. Most (if not all) owners have encountered pet accidents like dog and cat urine which could result in pet odor and stains. If left unattended, these accidents can cause various types of damage to carpets and furniture. Unfortunately, accidents are often discovered long after they occurred, so it is common that problems like carpet damage and odors need to be handled by professionals. Get those odors cleaned up and in control! Since mold and mildew thrive in damp environments, shock treatment remediation is required. Abbotts will deteriorate the cell structure of these microorganisms and break down their ability to reproduce. We will sanitize every interior surface including clothing, floors, ceilings, closets, etc. We have mold remediation capabilities to completely and correctly eradicate the smell and most importantly, the source of the smell. Overpowering cooking odors create nasty problems that spread far past the kitchen. Cooking odors that linger make it difficult to enjoy your living space and car irritate your closest neighbors. Certain cooking odors infiltrate the air and also seep into your furniture, clothing, flooring and curtains. Call Abbotts for professional home odor removal so you can get back to the cooking you love. If you want to get rid of musty smells in your basement, don’t wait another day. Why? Because musty scents emanating from a basement eventually spread to other areas of your home. Your pets, paperwork and furniture absorb the smell and eventually, visiting guests will absorb the smell, too. What is causing this? Usually, a musty smell means there is mold somewhere. There’s a good chance that live mold spores are in the air that are reproducing quickly. Some forms of mold cause serious health and safety issues like asthma or allergies. Accidents happen, and these include those from our beloved pets on our floors, carpeting, and furniture. Regardless of whether you discovered the accident hot off the press or found out it happened without your knowledge a while ago, dog and cat urine require odor cleanup. If left unattended, these accidents cause various types of damage to floors and furniture. Unfortunately, accidents are often discovered long after they occurred, so it is not uncommon to rely on the services of a professional home odor removal expert. Pet urine can damage carpet in several ways, including weakening and separating its layers, creating stains, and producing odor. Stains are a common result of pet urine, and the success of removing them depend on the amount of time after the accident, the content of the urine, and the type of carpet or furniture dye. Sometimes the dyes will change color right away, while other times urine stains won’t be noticeable for weeks. As more time elapses after the accident, the carpet will be more difficult to restore and there is a higher chance that it will be permanently damaged. Urine content is another varying factor that determines the extent of carpet damage, as the content will change due to age, diet, health, and medications over the pet’s life. Because there are many different factors that result in varying problems, an experienced professional like Abbotts should deal with the removal of pet related stains. Odor removal is another service that could be required due to pet urine. Many products are sold to help mask odor but not completely remove it. Because of this, the odor could reappear, especially if exposed to high humidity. Abbotts is able to combat odor by using a range of chemicals and tools and their expertise to remove odor that could otherwise be left in carpets or furniture. If pet urine has caused permanent damage to the carpet and odor cannot be removed, carpet replacement will be necessary. Abbotts is highly trained in areas like stain removal, odor removal, and also carpet replacement, and our team works with homeowners to restore their carpets and furniture to their pre-accident state. Because there are many different factors that result in varying problems, an experienced professional like Abbotts should deal with the odor remediation. Abbotts remediates pet odor through expertise and carefully chosen chemicals and/or tools to remove odors left in flooring or furniture. Abbotts personnel is highly trained in stain and odor removal in San Diego and if necessary, carpet replacement. Odors due to cigarettes, marijuana and tobacco products being used in the home can be restored and removed by professionals like Abbotts. 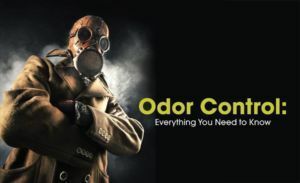 Odor removal may be needed before selling a house, in between apartment tenants, or even in cars. According to the EPA, Environmental Tobacco Smoke (ETS), often referred to as secondhand smoke, is “a mixture of the smoke given off by the burning of tobacco products, such as cigarettes, cigars or pipes and the smoke exhaled by smokers.” Exposure to this is called passive smoking, which is still very harmful to humans and animals. ETS is mixture of thousands of compounds, many of which are known to be irritants and carcinogens. Marijuana, Cigar, Cigarette, Nicotine Odors in your home, apartment, car, RV, boat or bus? There is nothing more offensive to non-smokers then the stale smell of cigarettes, cigars, pipes or cannabis in a home, car or your boat or RV. And many times, these odors travel through ventilation systems or even cracks in the walls. Consumer products mask these odors with fragrances rather than removing them at the molecular level. The source of the smell needs to be removed and Abbotts uses environmentally safe processes to destroy the source(s). You need the help of a professional odor removal service company who treats surfaces AND air to get things smelling right again. Call Abbotts to eliminate (not just cover up) the odor you need removed. Bad smells in your car or boat come from bacteria or microscopic molecules that attach themselves to upholstery and plastics. Most of the time, service providers and auto detailers use ozone or other nasty smelling odor bombs and often they don’t work. We will penetrate and destroy these odors at the molecular level. Cigarette and marijuana smoke is impossible to get out of vehicles using typical cleaning products and methods. The odor builds up and absorbs into the upholstery and vents. Abbotts professional odor removal services eliminates odors from the toughest vehicle interior and the A/C system. Your vehicle will be sanitized against a variety of contaminants. Homeowners, renters, and Real Estate agents! Abbotts can handle your odor removal in San Diego! Cigarette smoke odor can significantly reduce selling prices or rental income. Our expertise and process destroy the smell at the molecular level. , Abbotts uses ozone generators, odorox Hydroxyl generators, enzyme foam heat cleaning and CL02 fogging to eliminate odors, bacteria and allergens. Thermal Fogging and thermal blocks reintroduce a neutral odor back into the environment. Smoke particles are less than one-thousandth the width of a human hair, which means they penetrate surfaces that you use every day. If your walls are tar stained, you will be able to see the original color after removing pictures from the wall. By eliminating the smoke odor, the ‘saleability’ of your property is already enhanced safe for everyday living. Your best approach is to remove the odors BEFORE listing your home for sale. Whether caused by a natural disaster or from an accident, smoke odor can present challenges to experienced restoration professionals. The odor from smoke is stubborn and lingers after the flames have been put out. Different materials emit different smoke smells. A plastic material fire smells differently than a wood or protein fire. Professional odor removal experts like Abbotts can help. Tobacco smoke attaches to surfaces and leaves a sticky, yellow-brown residue that homeowners can see, smell, and feel. Areas exposed to long term smoking are subject to both odor and discoloration. Not only does smoke penetrate through surfaces and objects, but it can also contaminate other areas throughout the building as smoke travels through its HVAC system. The long term effects of smoking indoors are very similar to the effects of a fire, but tobacco smoke removal can sometimes be more difficult. Because odor and residue is present throughout the entire building, tobacco smoke restoration proves to be very time consuming and a big challenge. There is no chemical that can simply remove tobacco smoke all together. These restoration projects require an extremely thorough cleaning process. Although smoke residue may only be seen on certain surfaces, smoke particles get carried throughout the building, making it common that all areas are contaminated. Because of this, it is necessary to thoroughly clean all surfaces, furniture and appliances using deodorizing agents, and use equipment like ozone machines and hydroxyl generators (which help to remove odors from areas that are unable to be cleaned by hand, such as the inside of walls). Afterwards, walls and trim will be completely sealed and painted to restore the area to its original condition. Abbotts’s restoration team specializes in removing smoke damage but household items such as bedding and clothes may need special attention by outside specialists, as they absorb and hold odors better and are more easily damaged. After smoke damage has occurred, Abbotts helps restore properties to their original state by removing odors and residue. Abbotts professionals are experienced and highly skilled in tobacco smoke restoration procedures, and will work with property owners in the San Diego area to restore their property in an efficient and timely manner.